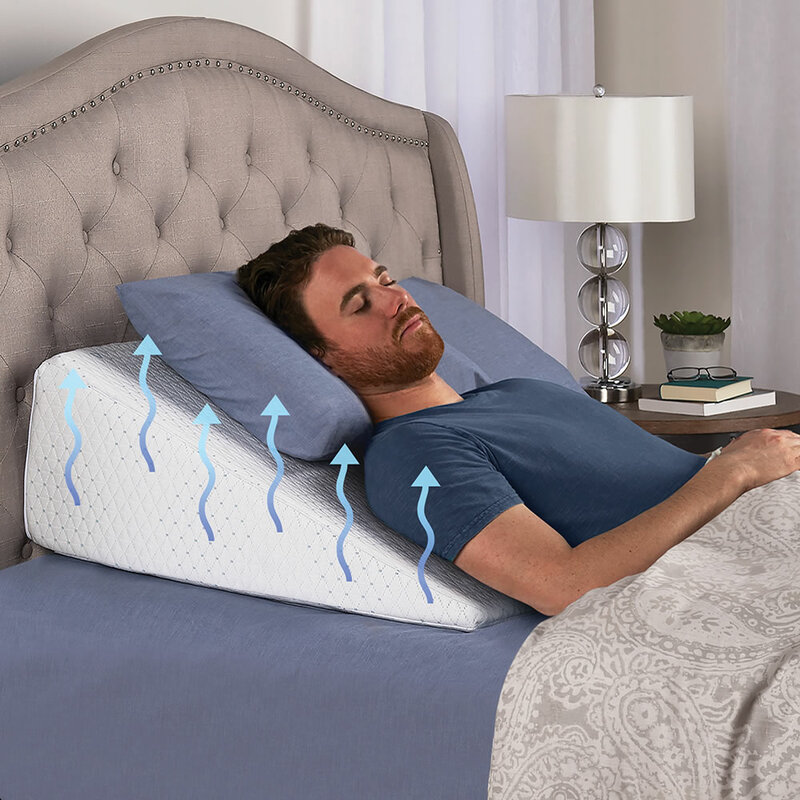 This is the sloped bed wedge with cooling fabric that raises the upper body for relief from heartburn, sinus congestion, and snoring. 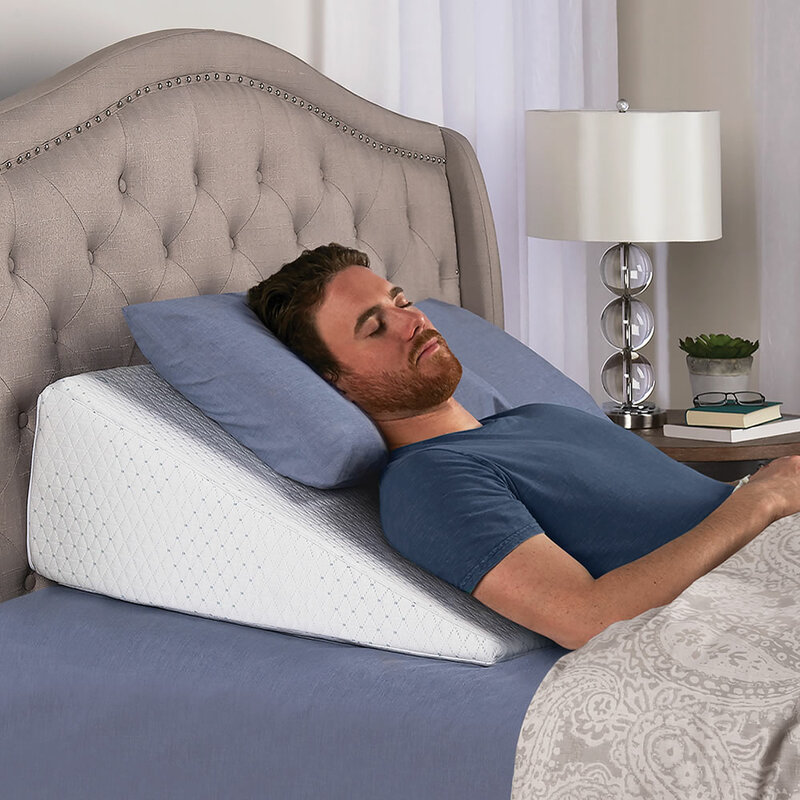 The angled shape starts level with the mattress and gently elevates the head and shoulders, helping to avoid positions which can contribute to acid reflux and other digestive problems; gravity comfortably drains sinus passages. The cooling fabric quickly disperses body heat, improving circulation and regulating body temperature—methods used for decades to promote a better night’s sleep. 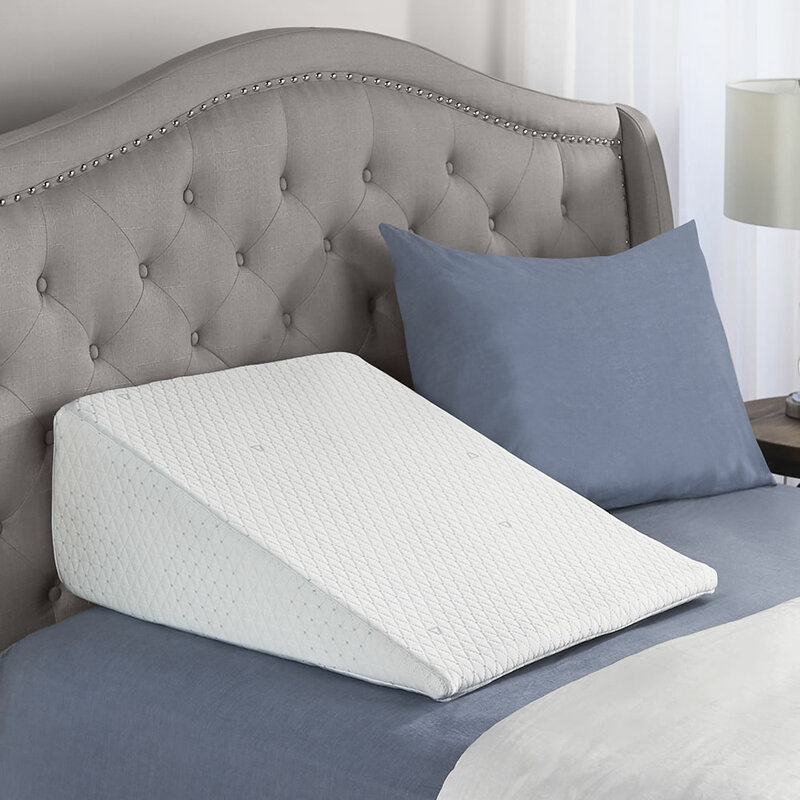 Use one pillow for a twin bed; two may be placed side by side on full-, queen-, and king-sized beds. Made in the U.S. 28" L x 24" W x 10" D.
The Temperature Regulating Adjustable Bed Wedge comes with The Hammacher Schlemmer Lifetime Guarantee. Items that we sell are guaranteed for their normal life under standard non-commercial use.